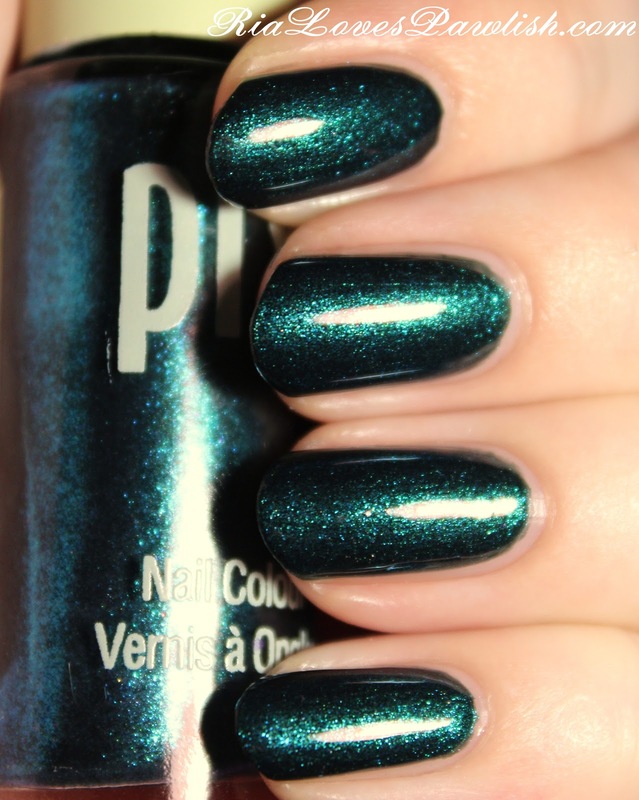 the last Pixi polish i have to share with you all is Evening Emerald... it's my favorite of the three! it's called Emerald but it actually is more of a teal... a dark teal with loads of light teal shimmers! the formula is good, almost full coverage at one coat and complete opacity at two. you definitely want to use a shine topcoat to bring out all the shimmers... i used two coats to make sure that the finish was extra shiny! two coats Evening Emerald, two coats Seche Vite. i can't get over how gorgeous this polish is, i highly recommend it!